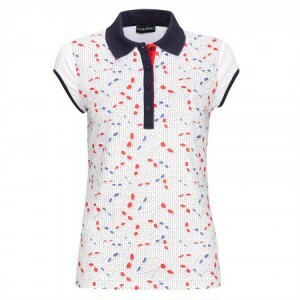 Ladies' Performance golf polo with cap sleeves and Moisture Management for optimal comfort whilst playing golf. The extremely elastic functional material offers skin-friendly comfort as a first layer in your golfing wardrobe. Through the special yarn construction, moisture is transported from the skin to the surface of the material, where is quickly evaporates and keeps the body pleasantly dry during sport. The stretch material easily follows your movements to offer maximum flexibility. 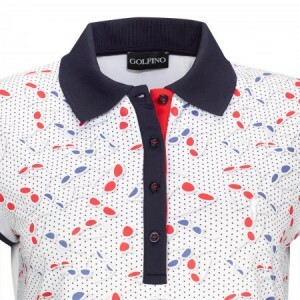 With exclusive print motif, ideal in combination with other articles from the current Golfino Performance wear. 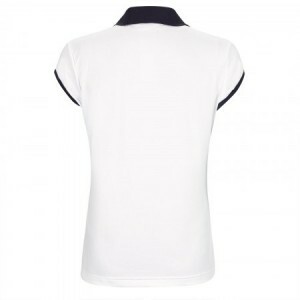 Equipped with ribbed polo collar and colour contrast on the button panel.